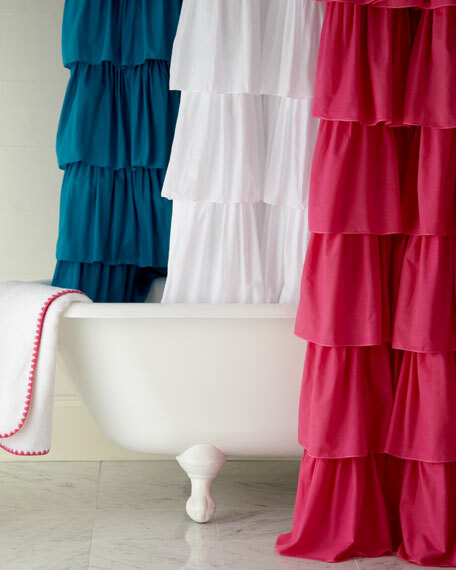 For the frill of it: a ruffled cotton shower curtain with 12-buttonhole top. Choose color below. Machine wash. 72"W x 72"L. Imported by India Rose.